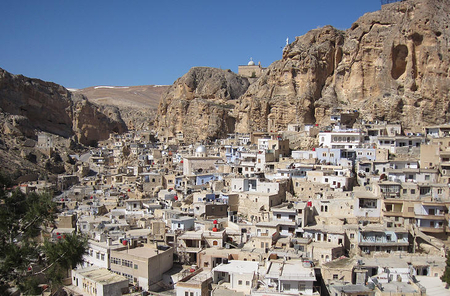 The Congressional debate on Syria takes place just as the ancient, Aramaic-speaking, Syrian Christian town of Maaloula has fallen to an Al-Qaeda-linked jihadi group. 1. Knock off the Assad regime. Attractive in itself, especially because it takes out Tehran's No. 1 ally and disrupts supply lines to Hizbullah, this scenario opens a can of worms: anarchy in Syria, foreign intervention by neighbors, the prospect of Al-Qaeda-connected Islamists taking over in Damascus, hostilities against Israel on the hitherto-quiet Golan Heights, and the dispersal of the regime's chemical weapons to terrorist organizations. Overthrowing Bashar al-Assad threatens to recapitulate the elimination of long-standing dictators of Iraq and Libya in 2003 and 2011, leading to years, or even decades, of instability and violence. Worse yet, this outcome could rejuvenate the otherwise dying career of Recep Tayyip Erdoğan, the bully of Turkey, currently nearly overwhelmed by his missteps. 2. Bust the regime's chops without overthrowing it – the Obama administration proposed approach. This scenario takes us no less into the unknown: evidence exists that the Assad regime does not worry about the U.S.-led "punishment" but already plans to use deploy chemicals again, perhaps against civilians, as does Tehran against American targets. Further, as I have pointed out, a limited strike can lead to "violence against Israel, an activation of sleeper cells in Western countries, or heightened dependence on Tehran. Surviving the strikes also permits Assad to boast that he defeated the United States." This step risks almost as much as overthrowing Asad without the benefit of getting rid of him, making it the worst of these three options. 3. Do nothing. This scenario has several disadvantages: letting Bashar al-Assad get away with his chemical attack; eroding Obama's credibility after his declaring the use of chemicals a "red line"; and strengthening the hardliners in Iran. But it has the even greater advantages of not further inflaming an already combustible war theater, maintaining the strategically beneficial stand-off between regime and rebels, and, most importantly, not distracting Washington from the really important country – Iran. By all accounts, the mullahs in Tehran are getting ever closer to the point where they at will can order nuclear bombs to be made and readied for use. Unlike the use of chemical weapons against Syrian civilians, this prospect is a matter of the most direct and vital personal concern to Americans, for it could lead to an electromagnetic pulse attack on their electrical grid, suddenly returning them to a nineteenth-century economy and possibly a couple of hundred million fatalities. Such prospects make the methods by which Syrians kill each other a decidedly less vital matter for Congress than Iranian plans to bring the United States to its knees. In this light, note that Barack Obama has followed his fellow Democrat Bill Clinton in a readiness to use force where American interests precisely are not vitally involved – Somalia, Bosnia, Kosovo, Haiti, Libya, and now Syria. Need one really argue that American troops be deployed only to protect their own country? 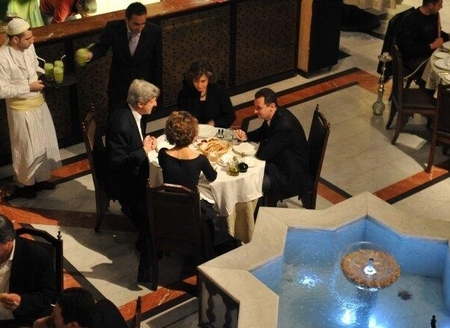 The Kerrys and the Assads dined together at the Naranj Restaurant in the old city of Damascus in 2009, a reminder that some of those now most fervently anti-Bashar were also until recently among his most avid apologists. While the Saudi foreign minister and the Arab League haughtily demand that "the international community" do its duty and stop the bloodshed in Syria, this American suggests that Sunni Muslims who wish to protect their kin in Syria do so with their own plentiful petrodollars and large armies. In this light, I recommend that Congress reject the sideshow proffered by the administration and instead pass a resolution endorsing and encouraging force against the Iranian nuclear infrastructure. Mr. Pipes (DanielPipes.org) is president of the Middle East Forum and author of three books on Syria. © 2013 by Daniel Pipes. All rights reserved. 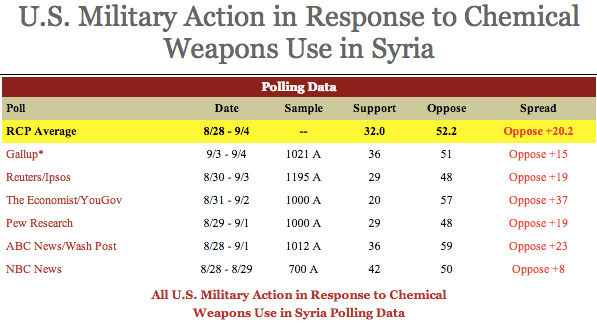 Look how we've handled the chemical weapons threat in Syria. If we duplicate that with the Iranians, they're going to march toward a nuclear weapon and dare Israel to attack them. So in the next six months, our friends in Israel are going to have to take the Iranians on, unless the United States can send a clear signal to Iran, unlike what we've sent to Syria. The mixed message and the debacle called Syria can't be repeated when it comes to Iran. So here's what I'm going to do. I'm going to get a bipartisan coalition together. We're going to put together a use-of-force resolution allowing our country to use military force as a last resort to stop the Iranian nuclear program, to make sure they get a clear signal that all this debacle about Syria doesn't mean we're confused about Iran. Related Topics: Iran, Syria | Daniel Pipes receive the latest by email: subscribe to the free mef mailing list This text may be reposted or forwarded so long as it is presented as an integral whole with complete and accurate information provided about its author, date, place of publication, and original URL.